I purchased this wooden, three oval frame at a church rummage sale this spring for 25 cents. 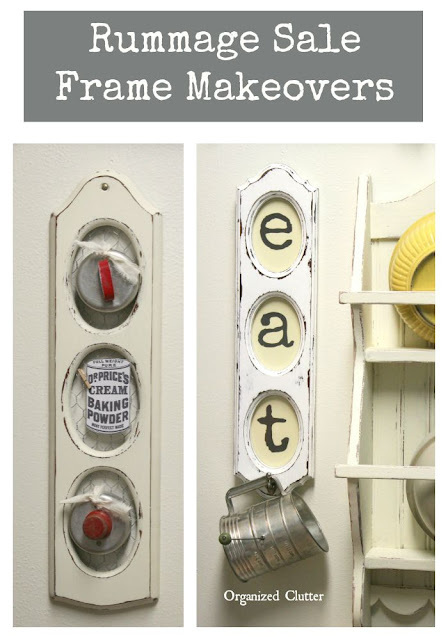 Actually I purchased another similar, three oval frame at the same sale for 25 cents, and almost immediately it became an "EAT" sign with a hook here. But then I got super busy with flower garden planning and planting, and nothing was done to the second frame. I also painted the second frame with Annie Sloan Chalk Paint in Old White. I wet distressed the frame with a terry cloth rag, and waxed it with clear wax. I also added 1/2" hex chicken wire to the back of the frame with staples. 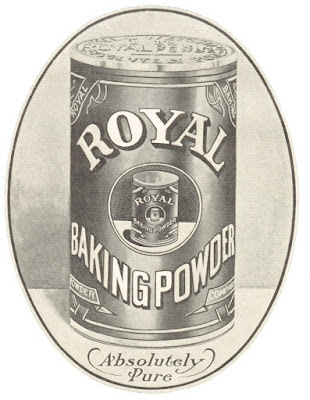 I downloaded this oval vintage baking powder graphic from Knick of Time blog. Angie always has great old advertising graphics! I tied on two biscuit/cookie cutters to the chicken wire with strips of muslin, and I used a miniature wooden craft clothespin to attach the oval Royal Baking Powder graphic to the center space. If you collect vintage kitchen utensils like I do, it's fun to find interesting ways to display them, and this project is very easy too! 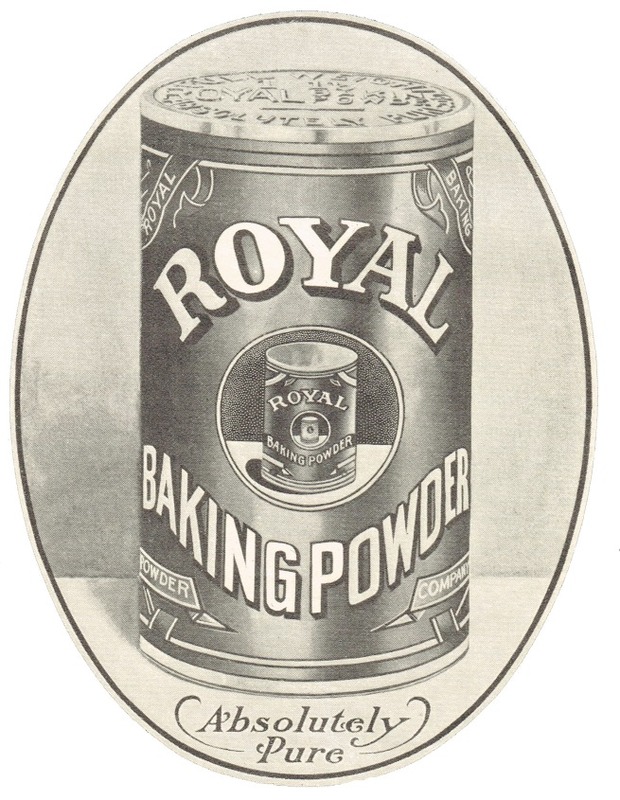 This Baking Powder graphic is also available at the Knick of Time blog. I think I may like it better because the lettering is bigger! How clever is this? Love the chicken wire and the addition of the cookie cutters and graphic. What a great idea nice to see things get a new life. Love it!!! Great job at re-purposing! When I looked at the before picture I was wondering what in the heck a person could do with that....and you showed me a beautiful after. Love it! So very cute. I still use mine. super cute... I'm a sucker for chicken wire! PDC..... Pretty darn cute, both of them! Thanks for sharing and for hosting. I liked my Mad Tea Party because I have several vintage Alice in Wonderland books on display. Hope that qualifies.